Training to be a Jungian Analyst with the Australian and New Zealand Society of Jungian Analysts C.G. Jung Institute is a deeply personal experience. C.G. Jung wrote that our “life’s task is to become conscious of the contents that press upward from the unconscious” (Jung, 1973, Jung: Psychological Reflections. A New Anthology of His Writings, 1905-1961 p.28). The unconscious, through encounter, interaction and integration with consciousness, plays an ongoing role in the development of the personality, a process which Jung called individuation. It is through individuation that one becomes the authentic and autonomous author of one’s own existence. Analysis may be understood as a means to facilitate individuation. Analysis is a professional interpersonal relationship that facilitates the transformative encounter with the unconscious. This encounter entails careful attention to unconscious communications, dreams, interpersonal interaction, the past and the present, the body and the mind, phantasy and reality, and the emergence of symbols leading to deep personal and interpersonal transformation. Analysis is a personal and interpersonal process whereby the analysand comes to live from the transformative relationship that they have with the unconscious. An Analyst conducts analysis on the basis of themselves having established the self-same relationship with the unconscious. The ANZSJA CGJI Analytic Training provides the opportunity to develop a unique and powerful way for practitioners to learn to work in this way. 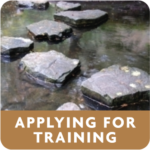 The training presents a range of Jungian and post-Jungian approaches whereby Trainees learn and develop extensive theoretical knowledge, therapeutic skills and analytic technique. Theoretical and clinical seminars are concurrent with the Trainees’ own personal analysis, supervision, clinical practice, infant observation visits and related seminars and a psychiatric placement. The ANZSJA CGJI Analytic Training is challenging and for many it is one of the most profound intellectual, psychological and emotional experiences of their lives. We welcome applications from people with a wide range of personal, professional and academic backgrounds, irrespective of religion, age, disability, race, ethnic origin, gender or sexual orientation. 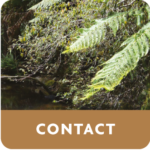 Add your name to the mailing list and regularly visit the website. 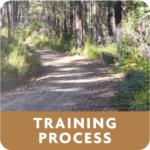 ANZSJA reserves the right to modify dates, including the commencement of training, and fees.